SUMMARY: In a highly competitive environment with similar businesses offering comparable technology solutions, the need to stand out and offer a unique solution is key. Learn how DonorPro, a SaaS offering solutions to nonprofits, was achieving stable growth for 12 years and needed a way to elevate the brand by offering not just technology, but also promising tangible results through client education and services. 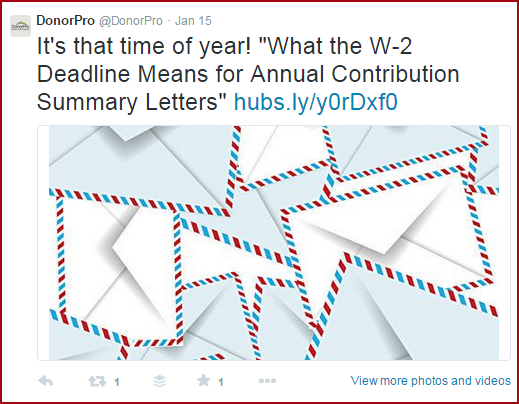 The results of this campaign lifted revenue for DonorPro 37% and leads generated by 70%. As Roy Cheran, Vice President of Marketing, DonorPro, explained, these are challenges that most community-based nonprofits face. "We tell prospects that we'll help you power your purpose; that's our brand statement, and we do that really through what we call the three Ps: products, promise and performance," Cheran added. DonorPro serves a global market with a primary customer base in North America, as the software is in English only. The organization focuses on two subsets of nonprofits. The first subset is established nonprofits that have been in the industry longer and want to better cultivate their donor bases and take their activities to a much higher level. 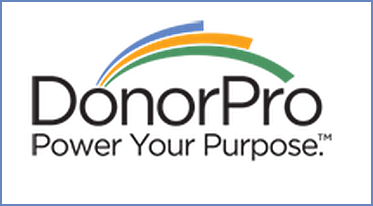 DonorPro also serves new and emerging nonprofits, helping them set up a solid foundation for growth with the software. DonorPro is a 21-year-old brand that was experiencing steady revenue growth over the years. However, the team began analyzing who DonorPro was in the market space and recognized the brand's value proposition was undifferentiated. A closer look at lead generation proved it to be flat and growing less rapidly than the revenue. Web visits and conversions on a year-over-year basis had flat lined. "Digging into the data and looking [at] ourselves in the mirror was the most important thing we did and probably was an obstacle for us prior to that. I think it is for a lot of organizations," Cheran explained. DonorPro partnered with an agency to revamp the brand's presence. The team wanted to gain a fresh perspective to defining DonorPro as a brand to demonstrate who they are in the market with an upgraded and highly differentiated value proposition. As Cheran explained, DonorPro functions in a highly commoditized market, with many competing platforms that are significantly less expensive. DonorPro wanted to maintain its pricing model. Some SaaS businesses offer a low cost to start using the service and charge extra to utilize the full features. Cheran explained DonorPro's model is full service, offering the full array of the software right from the get-go to clients. "Our theory with our prospects is you're going to make one purchase, and you need to make the right purchase and a smart purchase, and DonorPro can facilitate your needs, be you an emerging organization or a strong organization that has a great track record and just wants to take their game to the next level and refine some of the practices that you're currently engaged in," he said. As a result, DonorPro's customers can evolve and accelerate at their own pace within the infrastructure. This model is key for DonorPro's targeted audience of nonprofits as they can be much more budget-conscious than for-profit businesses — they can budget more effectively knowing it's a not-to-exceed cost. As a very commoditized market, DonorPro identified two key players and set a strategy to differentiate the brand in the space. During a research phase conducted with their agency, the team realized that everyone in the space was selling technology — the commodity they were providing was technology to manage donors. With very similar solutions in the market, DonorPro couldn't simply leverage the features of the solution as everyone essentially had the same features. Instead, it was decided to transform the core message into one which was based on what the nonprofits would gain upon using DonorPro: more donors, more money per donor and more efficiency. What this meant for DonorPro was they would now be promising a result, rather than just the technology. The next component was discovering how this would be conveyed to prospects. Competitors in the space leveraged having better technology, but what DonorPro would leverage was that technology was only a small part of what a nonprofit needs to be successful. DonorPro found through research that most of the buyers perceived technology as something low on the ladder of what they were interested in when looking to grow their nonprofit. What they were interested in, rather, is how they can get more donors and higher donation amounts. This led to an approach of identifying nonprofits' purpose and developing the tagline "Power Your Purpose." At this point, the DonorPro team needed to infuse the new brand strategy and value proposition into all elements of the online presence. The logo was redesigned to prominently display the core selling proposition, "Power Your Purpose." The elements of TEaM were also integrating into all DonorPro communications. This included clearly outlining the approach on the site, explaining how combining technology, education and marketing with DonorPro can place a prospect's nonprofit ahead of the competition. In educating DonorPro clients, the team offers personalized training, webinars, a forum, seminars and workshops as well as content such as white papers and guides. To aid the marketing element, DonorPro offers solutions for mobile marketing, peer-to-peer fundraising campaigns, direct mail and digital channels, including websites, blogs and social support, among others. Each leg of the TEaM strategy is supported with DonorPro's integrated platform of products and services, and this is clearly communicated to prospects in the buying cycle. "We recognized very quickly that we couldn't outspend our competition, so we had to be a little smarter in terms of what we were doing and clearly recognized that it was going to take the right people and the right tools to bring all of this to fruition," Cheran explained. Marketing automation arose as a solution to effectively perform inbound and outbound campaigns as most of the leads coming to DonorPro come from online sources, being organic search, PPC or referring directories. The DonorPro needed a way to capture leads, nurture them with inbound marketing. On the outbound side, they needed a way to perform testing in respect to the kinds of offers that the marketing team was promoting. "We probably have a smaller staff than our primary competitors as well, so it gives us a little bit more bandwidth and strength with regard to what we can do with the limited, comparatively speaking, limited human resources that we have," Cheran explained. The in-house marketing team at DonorPro creates all of the content on the DonorPro site, including white papers, e-books and other forms of inbound-geared pieces. That content aims to help prospects and clients become educated and gain some guidance with respect to marketing execution for their nonprofits. "We feel that our customers have been remarkably more successful than others in the market nationally because we invest a significant amount of time, energy and effort into customer support," Cheran explained. Through research from DonorPro's agency, the marketing team was able to map out areas of content from resources community-based nonprofits need that the company could provide. As an example, in donor prospecting, one of the big components nonprofits are challenged with is acquisition. How they can create awareness, get in front of potential donors and make a connection are topics that much of DonorPro's content aims to help address. Another way DonorPro uses content is to create content that speaks to prospects moving through the conversion funnel. Whitepapers were utilized at a conference in which they were distributed to help nonprofit development directors become educated on what they need to do to stay competitive. This started a relationship, which lent to much more engagement. DonorPro shared content via inbound and outbound campaigns, on the website as well as a customer portal that serves of the hub for all customer TEaM components. Each customer has access to the portal, and all the content is categorically broken down from a topical standpoint. Content includes information on donor communication, volunteer management, peer-to-peer fundraising and many more topics relevant to a nonprofit's needs. The marketing team will also post the content on social media to drive more readers to the DonorPro blog. In addition, the marketing team sends content via email marketing, focusing on core challenges that prospects have. "There are a number of different industry sectors associated with the nonprofit world: the arts and humanities, animal welfare, health-related, et cetera. And we'll do some more targeted approaches based upon what industry sector they are in," Cheran said. The DonorPro team leverages data to drive many business decisions — finding what's working and what's not. "We continuously put a sharper point on the pencil from a messaging perspective and other inbound marketing techniques," Cheran said. He and the team test everything from messaging in landing pages, how much information is asked in forms to the cadence of the messaging and follow-up. Cheran reports directly to DonorPro's President and to the board and communicates the successes of campaigns and testing. 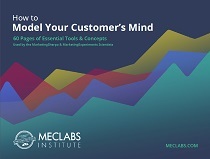 He explained the most important element of launching a new value proposition and website is to realize that "the data doesn't lie." "You may not get from point A to point Z over two or three campaigns. It takes a significant amount of time and there is no silver bullet, so you're constantly refining and evolving on this journey," he added. With constant optimization, Cheran assures his team that with outcomes, good or bad, the key goal is to get momentum in the right direction and figure out how they can propel it at a more accelerated pace. "As a marketer, you have to swallow your pride and recognize that you can do a better job. I think you just have to be true to yourself and always tell yourself that no matter how good things are that you can still improve," Cheran explained. By revamping its value proposition and implementing automation, DonorPro increased revenue by 37% by attracting 70% more leads and converting over 50% of prospects to customers. In addition, this campaigned earned DonorPro and its agency the Marketer of the Year award from the American Marketing Association — Pittsburgh Chapter. "Whatever you decide to do from a strategic standpoint, you need the team, the human resources and the tools to make it happen. You have to put yourself in a position to make the investment to bring those resources to bear," he explained. As for future efforts at DonorPro, the team will be evolving their campaigns, the content on the website and looking at other analytics packages to provide further insights into guiding the organization forward. "Don't ever be totally satisfied with where you are or what you're doing because you can always do it a little better," Cheran concluded.